Safety Communications FDA Safety Communication: Metal-on-Metal Hip Implants. Metal-on-metal hip implants consist of a ball, stem and shell, all made from cobalt-chromium-molybdenum alloys. Purpose: In February 2011, the FDA launched a metal-on-metal hip implant webpage. The FDA is providing updated safety information and recommendations to patients and health care providers. This new information is based on the FDA’s current assessment of metal-on-metal hip implants, including the benefits and risks, the evaluation of the published literature, and the results of the June 2012 Orthopaedic and Rehabilitation Devices Advisory Panel meeting. Metal-on-metal hip implants have unique risks in addition to the general risks of all hip implants. Additional information on the FDA’s recommendations for orthopaedic surgeons before, during and immediately following metal-on-metal hip replacement surgery can be found in Information for Orthopaedic Surgeons. Pay close attention to signs and symptoms that may be associated with metal-on-metal hip implants. Please see the website for a list of common ALTRs and systemic symptoms/complications. Additional information on the FDA’s recommendations for patient follow-up can be found in Information for Orthopaedic Surgeons. For additional information on the FDA’s recommendations about imaging a patient with a metal-on-metal hip implant, please see Imaging Evaluation. For additional information on the FDA’s recommendations on metal ion test methods, selecting a test lab and interpreting test results, please see Metal Ion Testing. The decision to revise a metal-on-metal hip implant should be made in response to the overall clinical scenario. In case of adverse local tissue reactions (ALTR), revision of a metal-on-metal hip implant may have a worse prognosis than revision of other types of bearing surfaces. For additional information, please review the FDA’s considerations on device revisions, which includes our recommendation for a retrieval analysis of every failed metal-on-metal hip implant. Consider the benefits and risks of MRI, CT and ultrasound for each patient. Not necessary if you feel the hip is functioning properly. Consider monitoring serial metal ion levels. Currently, the most reliable test results are available for cobalt in EDTA-anticoagulated blood*. In repeat tests, use same sample type, measurement method and preferably the same laboratory. Not necessary if you feel the hip is functioning properly. *For chromium testing, a validated method that resolves potential interferences must be used. Please reviewFDA’s recommendations for chromium testing. For additional information, please review the FDA’s considerations to Health Care Professionals. A list of some questions to ask your orthopaedic surgeon can be found in Patients Considering a Metal-on-Metal Hip Implant. On May 6, 2011, the FDA instructed manufacturers of metal-on-metal total hip replacement (THR) systems to conduct postmarket surveillance study of these devices. Five manufacturers currently market metal-on-metal hip implants in the U.S. and all five have approved postmarket surveillance study plans. Data from these studies will provide patients and health care providers with additional information about the safety profiles of the implants, including the effect of metal ion concentrations in the bloodstream. 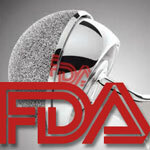 On June 27-28, 2012, the FDA convened the Orthopaedic and Rehabilitation Devices Panel of the Medical Devices Advisory Committee to seek expert scientific and clinical opinion on the benefits and risks of metal-on-metal hip systems. Information from this panel meeting has helped form these recommendations. On January 17, 2013 the FDA issued a proposed order requiring manufacturers of metal-on-metal total hip replacement systems to submit premarket approval (PMA) applications. Metal-on-metal total hip replacement systems were evaluated under the 510(k) premarket notification program. Metal-on-metal total hip replacement systems were marketed in the U.S. prior to 1976 legislation that gave the agency premarket authority over medical devices. As “preamendment devices,” they were designated as Class III (higher risk) devices but were regulated under the 510(k) premarket notification program. 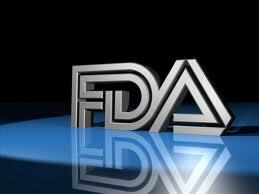 Additional information on FDA ongoing activities are provided in FDA’s Role and Activities. For additional resources, see Metal-on-Metal Hip Implants: Other Resources. Prompt reporting of adverse events can help the FDA identify and better understand the risks associated with medical devices. If you suspect a problem with a metal-on-metal device, we encourage you to file a voluntary report through MedWatch, the FDA Safety Information and Adverse Event Reporting program. Health care personnel employed by facilities that are subject to the FDA’s user facility reporting requirements should follow the reporting procedures established by their facilities. Device manufacturers must comply with the Medical Device Reporting (MDR) regulations. Reports to the FDA about adverse events related to metal-on-metal hip systems include, but are not limited to: pain, malposition, adverse local tissue reaction, metallosis, hypersensitivity (allergy), loosening, and dislocation. If you have questions about this communication, please contact the Division of Small Manufacturers, International and Consumer Assistance (DSMICA) via e-mail at DSMICA@FDA.HHS.GOV or by phone: 800-638-2041 or 301-796-7100.